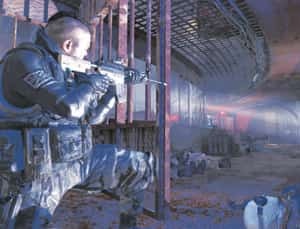 New Delhi:Call of Duty: Modern Warfare 2, a new video game that some gamers say channels imagery from the Mumbai terror attacks for one of its early levels, made $550 million (Rs2,552 crore) in sales in its first week of release—or more than the last Batman movie. The game, released on 10 November for Xbox 360, Playstation 3 and PC formats, shifted 4.7 million units ($310 million) on its opening day in the US and UK alone, higher than The Dark Knight in its opening weekend ($158.4 million). It is the most successful video game launch yet, beating previous record holder Grand Theft Auto IV, which sold 3.7 million units (approx $300 million) on its first day in 2008. A small 10-minute stage in the game’s first act, “No Russian" sees the player taking the role of an undercover operative embedded with an ultranationalist terrorist outfit as they open fire on unarmed civilians in Moscow’s airport before proceeding through the terminal and into the runways. The modus operandi of the in-game terrorists, clad in kevlar armour and carrying automatic weapons as they move through the airport, echoes the Mumbai attacks, as does the atmosphere of the stage itself—screams and wails and confusion reign with security forces attempting to move in and intervene. It is possible for the player to choose not to fire on civilians, but neither can he/she intervene to stop the massacre taking place. The game does, however, offer the option of skipping the level altogether. “It pops up a warning before the level starts that the content could be potentially disturbing or offensive," said a spokesperson for World-Wide CD-ROMS Ltd, the Indian distributor for the game. The game released last week in Indian stores and is priced at Rs3,499 (for the console version) and Rs1,299 (for the PC). Response to the controversial level has been divided. Some, such as gaming blog Fidgit (http://www.fidgit.com), have called it “unnecessary, cheap and disgusting", calling out developers Infinity Ward Inc. for a lack of sensitivity. “I thought of Fort Hood. Mumbai. Columbine. Things I don’t particularly care to think of in a glib action game." 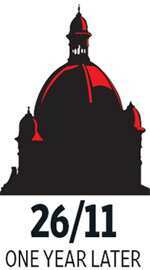 The post is accompanied by a photograph showing the aftermath of the attacks on the Chhatrapati Shivaji Terminus. It’s a scene echoed early in the level, as the player passes the airport waiting areas up staircases draped with bodies. Tim Bissell, writing for blog Crispy Gamer (http://www.crispygamer.com), said “I hope the designers will have the maturity to recognize the difference between testing the conscience to make a serious point and shocking the conscience as a kind of pointless test." Hot seller: A screen shot from Modern Warfare 2. Other felt the level could not be considered in isolation from the rest of the game. “I think we’re taking [the level] out of context. It probably makes sense within a story setting," says Gopal Sathe, editor of blog Split-screen.com. Activision Publishing Inc. echoes the same sentiment. “The scene establishes the depth of evil and the cold-bloodedness of a rogue Russian villain and his unit. By establishing that evil, it adds to the urgency of the player’s mission to stop them," they said in a statement on 28 October. In the same week, a viral video promoting the game was pulled off the Internet after criticism that it contained a coded homophobic slur. The Call of Duty franchise is a series of first-person video games for both the PC and consoles. A majority of them are set in World War II, except for Modern Warfare 2 and its prequel Call of Duty 4: Modern Warfare. Those two games were influenced by the 2003 US invasion of Iraq, with stages, for example, referencing “shock and awe", the military doctrine used extensively in that campaign. The series is popular both commercially (Call of Duty 4: Modern Warfare has sold at least 13 million copies worldwide) and critically, and is recognized for its polished setpieces, cinematic sweep, and attention to detail. Activision also runs a non-profit foundation called the Call of Duty Endowment that donates to charities that work with US army veterans.